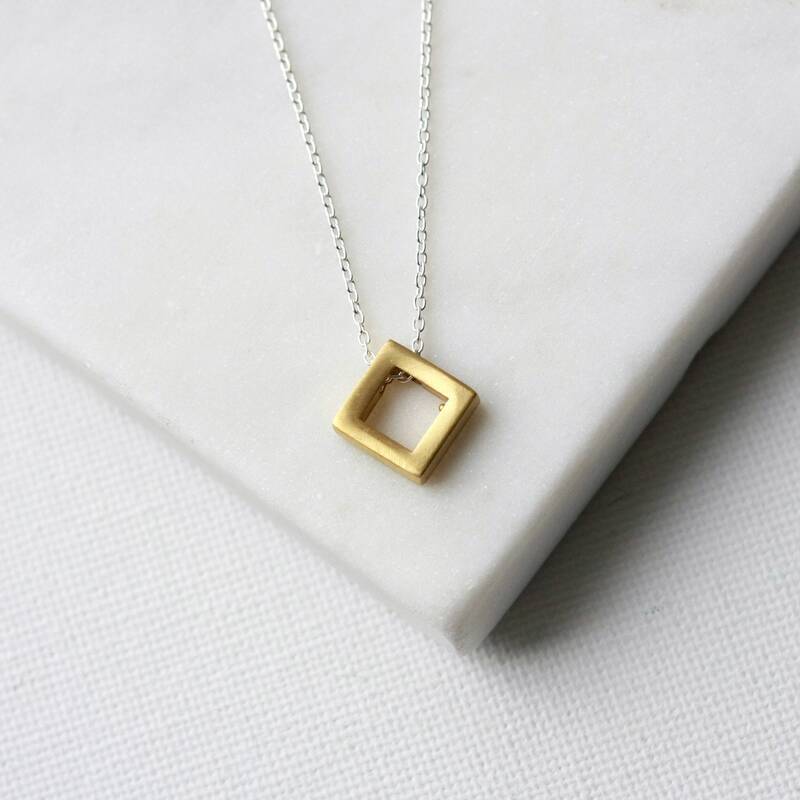 Modern geometry! 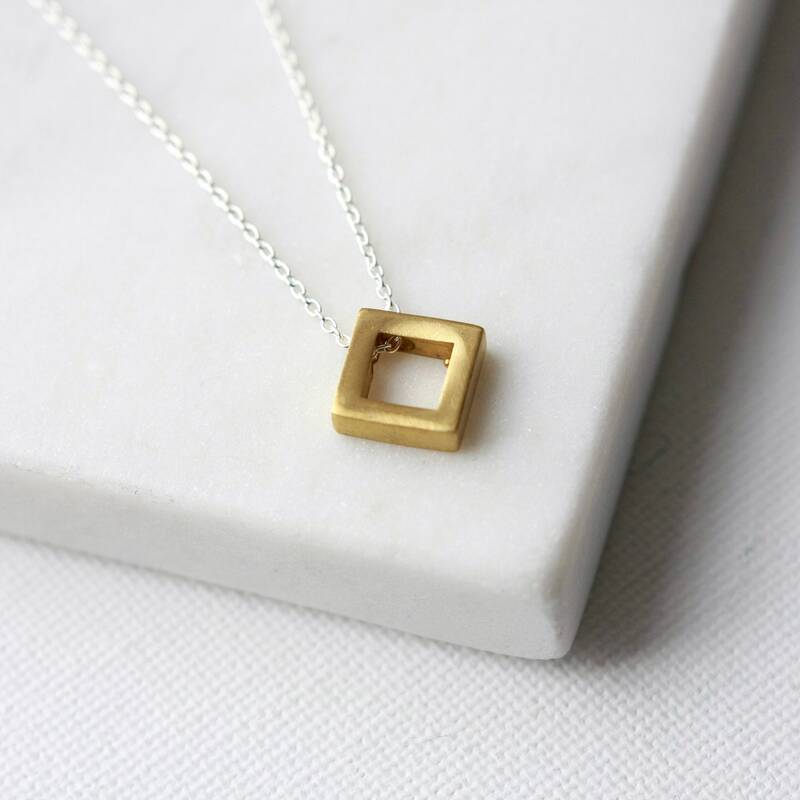 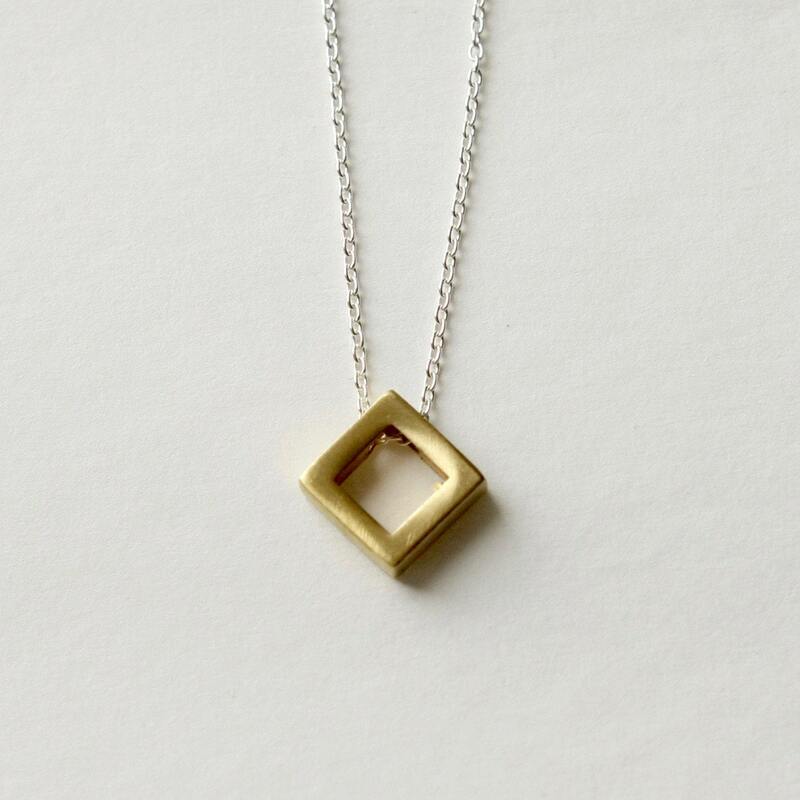 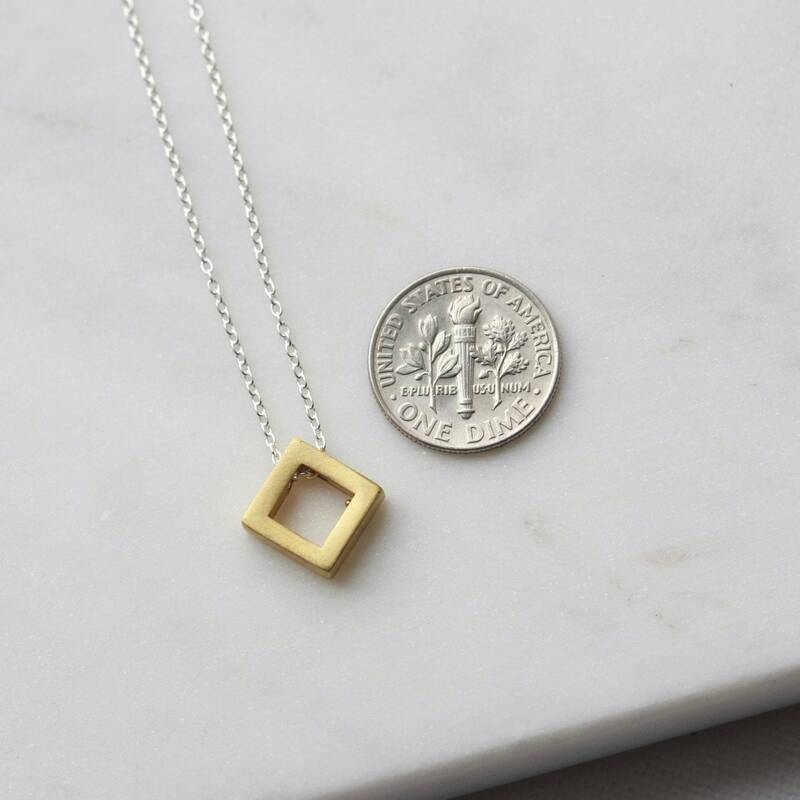 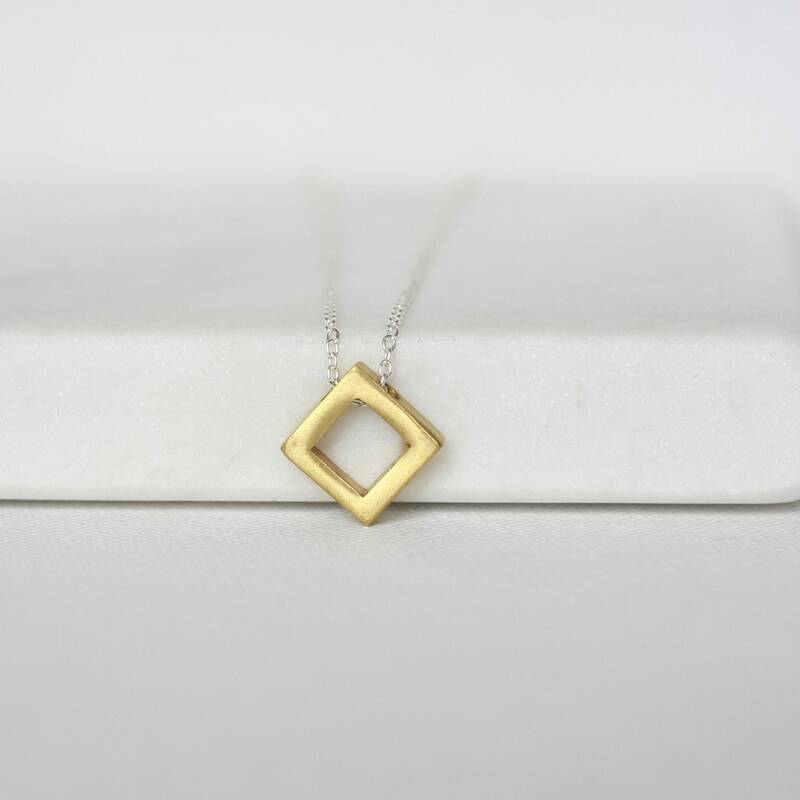 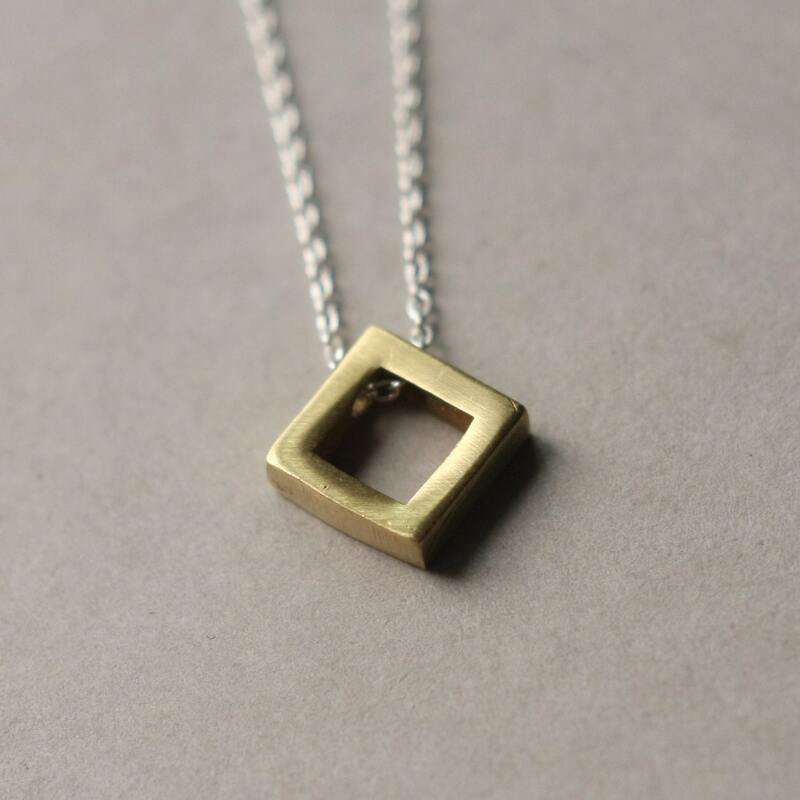 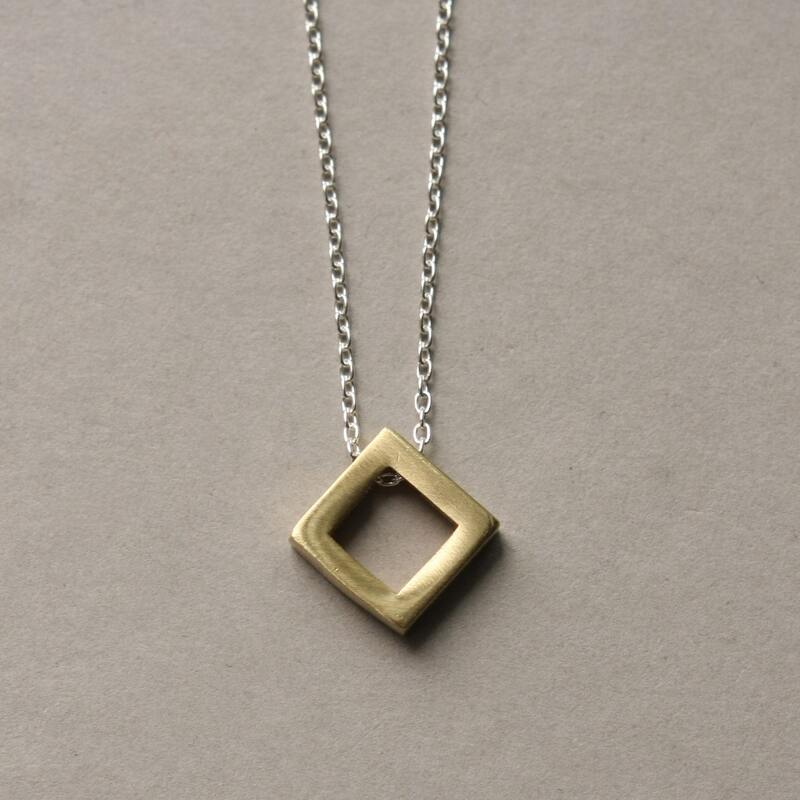 This minimalist mixed metal necklace features a 12mm raw brass diamond free floating on sterling silver cable chain. 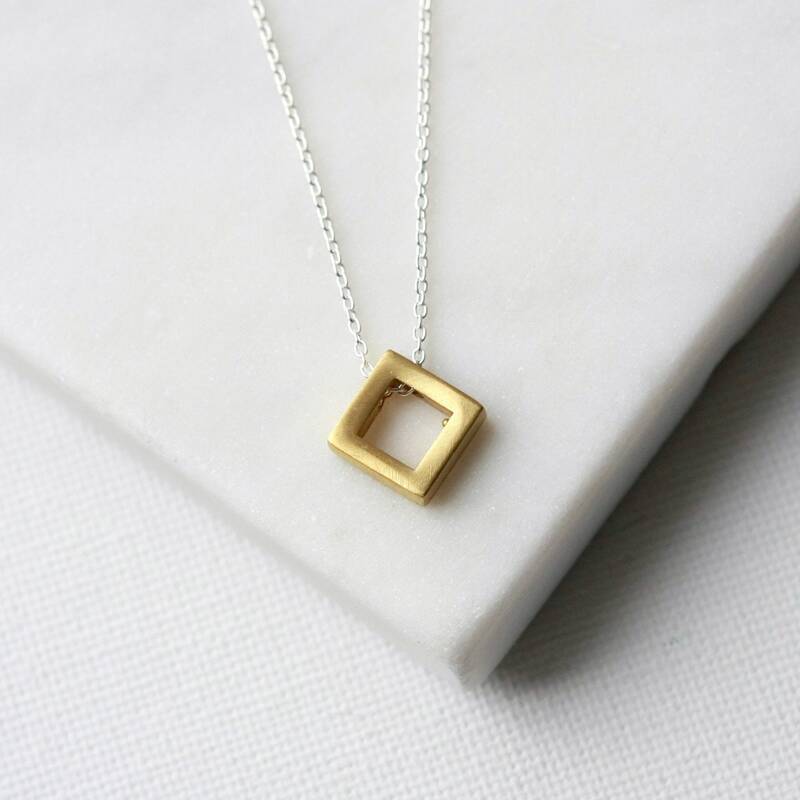 It's a perfect piece for everyday wear and looks chic on its own or layered with others. 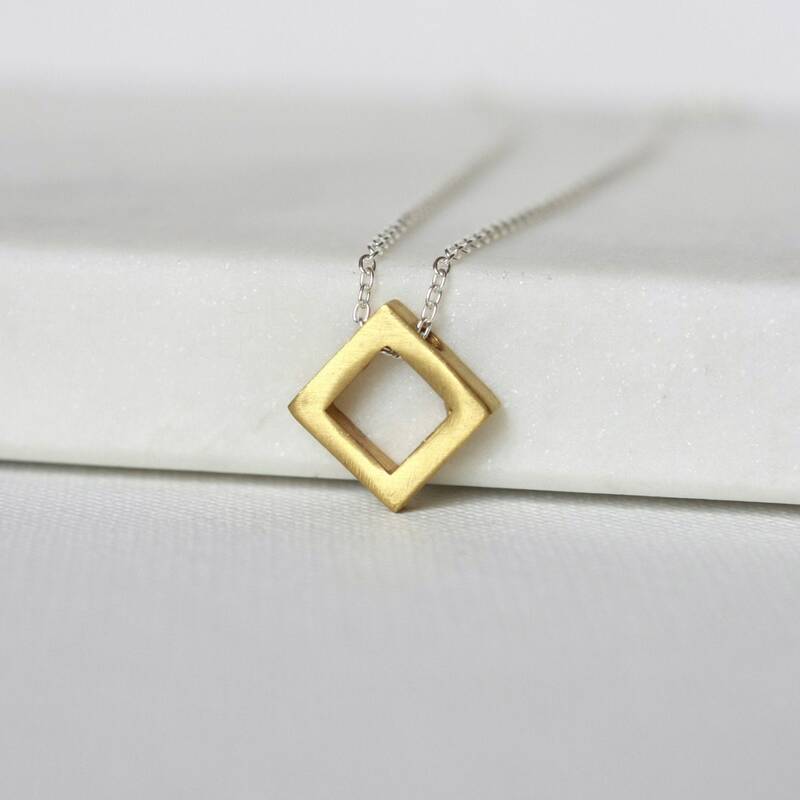 The necklace is fastened with a sterling silver spring ring clasp and you can choose your preferred length from the drop-down menu above.